We've Opened a Brand New Branch Office! We’ve Opened a Brand New Branch Office! This location is designed to make it convenient, easy, and dare we say – pleasurable – to handle the business of insurance protection. On Friday, July 7, 2017 we held a ribbon cutting and Grand Opening celebration for our new branch office, located at 5712 Oleander Drive in Wilmington, bringing our number of brick-and-mortar offices to four. The new Oleander branch features a modern, coastal interior with lots of light, aimed at improving the customer experience with an open and welcoming lobby, spacious conference rooms, and private offices where clients can meet with agents to discuss coverage needs. 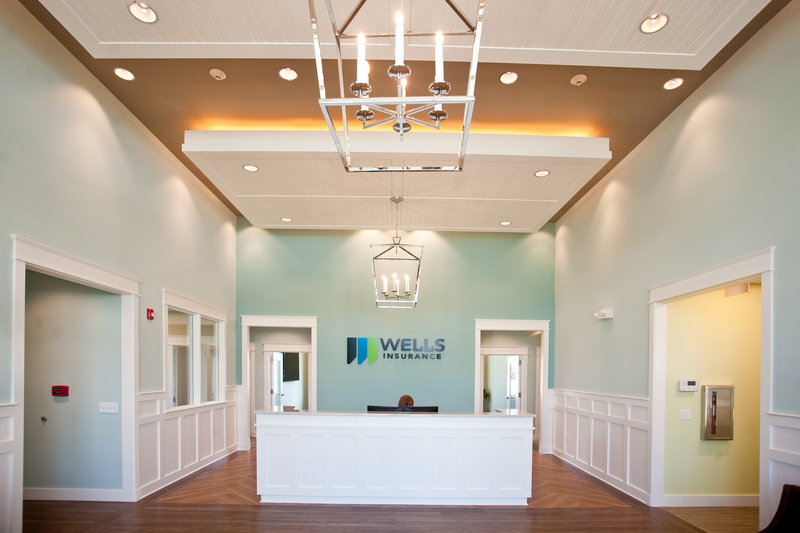 Wells Insurance, a privately owned, fourth generation insurance agency, is an Assurex Global member, the world’s largest privately held commercial insurance, risk management and employee benefits brokerage group. Our family began protecting clients in 1920 and we have offices located throughout North and South Carolina.